Everyone has an Eeyore in their lives. He’s the perpetually downcast, hopeless little donkey in the Winnie the Pooh stories. 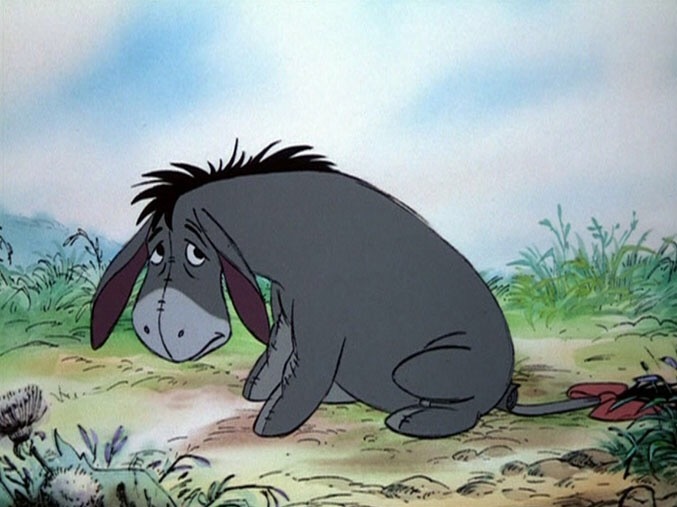 And while he’s the ultimate downer, we can all identify with him, maybe we even ARE the Eeyore in our circle of friends. Spending time with one of these folks can leave you exhausted, because all of your energy is spent trying to fill their bottomless pit of despair. Ugh. And yet there’s something endearing about old Eeyore. He’s like all of us on our worst days—that dark, secret, self-absorbed part of us that sees no reason at all to get out of bed, much less to rise and meet the day with gratitude and hope. But hope is the fruit of our faith in Jesus Christ. Hope is being confident in the promises of Christ, knowing with certainty that He will never disappoint. To live without hope is to, in effect, reject the salvation that Jesus died to offer us. If we’re hopeless, we’re no different from the unbeliever. And it’s an easy habit to fall into, and a dangerous one. A quick look at Holy Scripture makes it pretty clear that if we follow Christ, hope should be the anchor of our lives. In Hebrews, we read that hope is “the conviction of things not seen”(11:1). Hope is not a feeling nor is it merely wishful thinking—hope is a conviction. St. Paul writes that hope is an “enduring virtue”(I Cor. 13:13) and that “love springs from hope”(Col. 1:4-5). Hope is that gift which allows us to understand and persevere through suffering, pain, and disappointment (Romans 5:2-5). “Hope does not disappoint”(Romans 5:4). And maybe the most profound teaching of all is in St. Paul’s letter to Timothy: “Jesus Christ is our hope”(I Timothy 1:1). To be alive in Christ is to be infused with the virtue of hope—not like Pollyanna, but like any of the great Saints who lived in hope despite suffering, torture, and death. Hope takes us out of ourselves and places our hearts at the foot of the Cross. 1) You’re fearful and anxious—a “worrier.” You are afraid of life’s challenges and opportunities. You fret excessively about money, status, or what others think of you. You have unfocused fear that sometimes paralyzes you into inaction. 2) You’re a complainer. A hopeful heart is one that is grateful and praises God even through the bad times. Without hope, every small bump in the road of life is an injustice. 3) You blame other people for your problems. If you’re not living in hope, it’s easy to point fingers at others whenever things don’t go your way. Your family, your teacher, your boss, your ex—it’s their fault that things are a mess. You constantly compare yourself to others, and are perpetually disappointed. 4) You’re a drama queen, or king. Hopelessness exaggerates any small suffering in your life. It’s the worst, the most horrible, the most unfair (fill in the blank) ever! You are easily discouraged and you look to others for sympathy and affirmation. 5) And maybe the clearest sign of failing hope is pride. A prideful heart tries to do everything for themselves, rather than giving God control and embracing His will. Humility and hope go hand in hand. The more we grow in humility, the more we rely on Christ for everything and, as we know, He never lets us down. Want to be more hopeful? Pray for humility. Faith, hope, and love are virtues that we need to exercise through prayer, fasting, and sacrifice. Ask God to increase your hope. Surround yourself with hopeful, encouraging people. Read about the Saints who are examples to us of great hope and ask them to pray for you and to help you to grow. Remember all the blessings God has given to you. Gratitude grows hope—the more grateful you become, the more hopeful you’ll be. Our Lord holds our future in His hands, and we needn’t worry or be anxious. No one’s going to save us, but us. The sooner that more of us understand this, the sooner we can begin to turn things around. We’ve got to realize that no government or president or king or pope can make it all okay for us. We can’t legislate our way out of all the problems we see around us. No presidential executive order is going to keep us from killing one another. Our Church leaders preach peace and love and mercy, but they can’t do it for us. We have to be the makers of peace and love and mercy. Us. No one else. In the face of cultural chaos, some of us stockpile food and weapons. We expect some kind of holocaust and we want to be prepared for it when it comes. Others see our problems and place the blame for them on anyone who is not like them: the immigrant, the corporate giant, the minority or the majority, anyone who is different is seen as a threat. Some of us join gangs. Some of us join militia groups. Some of us drop out of society: we don’t vote, don’t go to church, don’t know our neighbors, don’t invest in anything outside our own immediate families. But most of us are somewhere in the middle. We obey the law, we work hard, we love our children—and when we look at the world we live in, we no longer recognize it. The values and shared beliefs that were once the fabric of the country of our childhood seem to be gone. Family life is in shreds with absent fathers, broken homes, and widespread poverty. Our children face an economic future more tenuous and difficult than we can imagine. The rule of law seems to have eroded at every level of society. We fear the policemen that we used to run to for help. Our country, founded by immigrants, now looks for ways to lock our doors to keep immigrants out. Both in our country and in our neighborhoods, we’re battening down the hatches and pulling up the drawbridges. The fabric of our culture is unraveling, thread by thread—and we’re the ones with the scissors. As a Catholic, my faith in Christ sustains me and gives me hope. But sustenance and hope are just the beginning of the Gospel. Jesus doesn’t call us to be sustained and hopeful in our bunkers. He calls us to follow Him. Our faith has to be lived out in the world and not just in our prayer rooms or it’s meaningless words. If we don’t transform our culture with the living faith of Christ, how can we call ourselves Christians? He went into the temple, into the streets, and into homes to engage people. He fed and healed, He touched the lepers and comforted the sorrowful. The faith He shares with us is a living, breathing faith and not an intellectual exercise or a social commentary. He went to where the hurting people were and gave them love and mercy. And that’s what we have to do, too. Christ didn’t die on the Cross and rise on Easter morning to save our civilization. He died and rose again to save our souls. Saving civilization is up to each one of us. We’re the salt and the light—or we’re supposed to be. We’re the ones called to share our cloaks, to walk the extra mile, to feed the hungry, and visit the sick and imprisoned. We have to throw open the doors of our hearts to the hurting and the marginalized. Catholics are celebrating a Holy Year of Mercy in 2016. It’s a wonderful opportunity for us to experience the love and forgiveness of the Lord. But if all we do is go to confession and walk through a Holy Door, we’ve missed the point. The mercy that God offers us has to be shared with others. It can’t be a gift that we receive but don’t pass on. A friend of mine shared this Andy Stanley quote with me today: “We who are Christians are very good at making a point, but not making a difference.” It’s time we put our faith in action. That’s our purpose: to serve Christ by being Christ to others. This is how our culture can be brought back from the wilderness we’re now in. We have to live our lives for the One Who ransomed them from death, knowing that we “can do all things through Christ Who gives me strength (Philippians 4:13). He had always loved entertaining people. Whether with a song and dance, or telling a joke, or acting in a movie or play, he came alive on stage. It had been that way since his childhood. He was one of ten children born into a family of Lebanese immigrants who had settled in Michigan. He’d attended Catholic schools before enrolling in the University of Toledo. While there, he was confirmed by Bishop Samuel Stritch, who would become a lifelong friend and mentor. Soon after graduation, he married and began working at several jobs to support his wife and their growing family. But times were hard and making a living as an entertainer was tough. He struggled for years to make ends meet. He leaned on his faith during those lean and difficult years. One night, a stagehand at a theater shared with him his devotion to St. Jude, who is known as the patron saint of the most difficult situations. This conversation prompted Danny Thomas to include St. Jude in his daily devotions. His old friend, Bishop Stritch encouraged him to call on this “forgotten” Apostle for help whenever he prayed. Poor St. Jude, whom early Christians had often confused with Judas Iscariot due to their similar names. He had tended to be overlooked as a close friend of Jesus. Not much is known of his early life, although we do know that he was the brother of James the Lesser, and both were cousins of Jesus. After the Resurrection, St. Jude and St. Simon travelled together throughout the Middle East where they preached and planted churches. It’s believed that his outspoken faith in Christ led to a martyr’s death. His body was later brought to Rome and he shares a tomb with his coworker, St. Simon in St. Peter’s Basilica. Over the centuries, devotion to this “forgotten” saint grew as he became known for his eagerness to assist even the most hopeless of causes. He was especially loved by Christians from countries in the Middle East, where he’d spent his earthly life preaching the Gospel. So here was Danny Thomas, whose family had come from Lebanon, now turning to St. Jude for his help in making a life for his own family in America. One morning in Chicago, Thomas went to early Mass at St. Clement’s Catholic Church and said a prayer to St. Jude for his help. “Show me my way in life and I will build you a shrine.” He put his last few dollars in the offering that morning. Within a few weeks, he began getting enough work to support his family. In just a few years, he was a star of stage and television. His devotion to St. Jude never wavered and he never forgot his promise to the “forgotten” Apostle. He formed a charity to explore the ways he might honor St. Jude and the idea of establishing a hospital for children with cancer was born. His friend, Bishop (now Cardinal) Stritch was a native of Memphis and he had connections there that would help in making the hospital a reality. In 1962, St. Jude’s Children’s Research Hospital opened its doors as the shrine to St. Jude that Danny had promised to build. 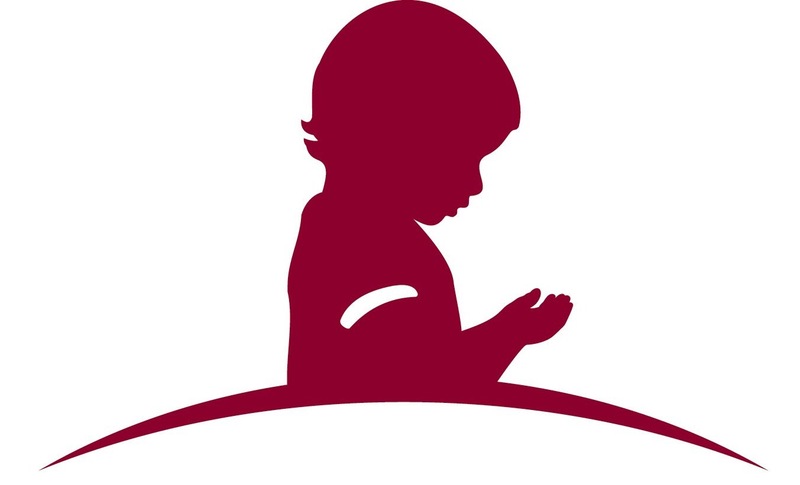 The research and treatments developed at St. Jude’s have revolutionized the care of children with cancer. The overall survival rate for childhood cancer has risen from 20 percent to 80 percent, in large part due to St. Jude’s. Families are never charged for care there and more than 81 cents out of every dollar received goes to support the care of children treated there. The Lord calls each of us to know Him and to share the truth of His love for us throughout the world. St. Jude answered His call. And Danny Thomas’ faith led him to keep his promise to St. Jude in gratitude and thanksgiving. His devotion to the “forgotten” Apostle has provided lifesaving care to thousands of children and their families. When we give our hearts to God and His beloved Saints, miracles happen every day. We may never know how the Lord will use our faith, not only to transform our own lives, but also the lives of others. He takes whatever we offer Him and multiples it, elevates is, and sanctifies it. Our God is the God of generosity and thanksgiving, of promises kept and hope in abundance. The little blue house at the end of the street looks different this winter. She has always kept a tidy home and garden, with windows washed, porches swept, and shrubs well-trimmed. The neat little cottage never lacked for maintenance or paint, the window boxes always had bright flowers, and when an errant leaf fell on the lawn, it was promptly removed. But not this year. The fall leaves are piled in windswept heaps underneath unkempt boxwoods. Frost-killed begonias are still in their pots on the porch. 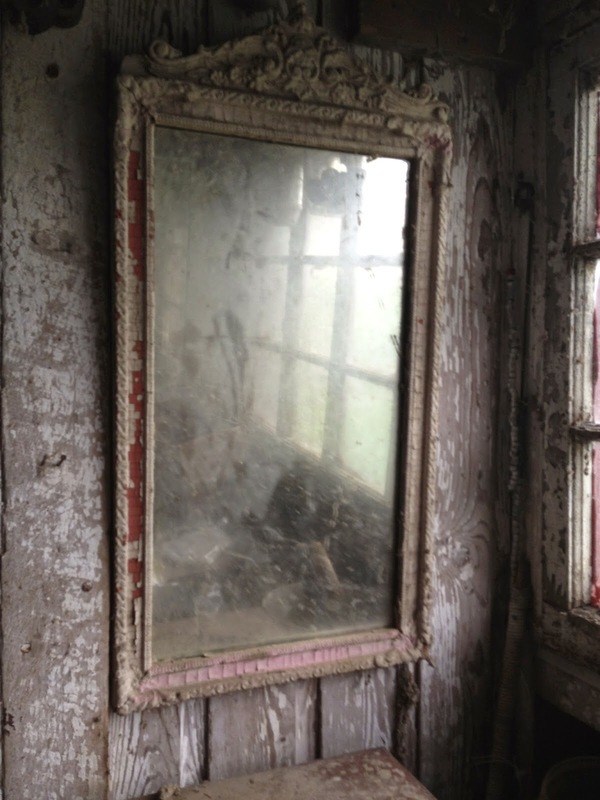 The whole house has a neglected, forgotten look about it. She’d always loved decorating for Christmas. Strands of sparkly white fairy lights were her favorite and she would drape them around every window and door frame. Candles would light each window and a huge evergreen wreath bedecked the front door. But this December there had been no Christmas lights or welcoming wreath. This year, Christmas came and went with the little blue house giving it no notice. Its blank windows stared out at the street, unblinking, not giving away any clue as to what’s happening inside. And inside the little blue house at the end of the street something incredible is happening. Something so amazing and completely other-worldly is happening there that every newspaper and television station on earth should be crowded into the quiet street out front, clambering for interviews and updates. Instead, only a few family members, a nurse, and a priest are there to bear witness. They come each day and gather around her bedside. Some bring food. Others, medicine. When the priest comes, the others meet him at the front door with a lighted candle (a Christmas candle?) and walk silently with him to her room. There they find a small table covered with a white cloth near her bedside. On it is a crucifix, two candles, a bottle of holy water an a few other items. The visitors kneel in reverence, not to the priest, but to the Body and Blood of our Lord in the Blessed Sacrament, which he has brought with him. They join in prayer. She is anointed with oil and receives Holy Communion. As she had lived her life in the faith of Jesus Christ, she is meeting her death in that same steadfast love. Her family, in their charity, has made certain that her wishes are being followed. Her pastor was notified of her physical condition so that he could come to offer her the Sacraments of the Church she loved. Her family was prepared for his visits and had assembled everything the priest would need on the table in her room. 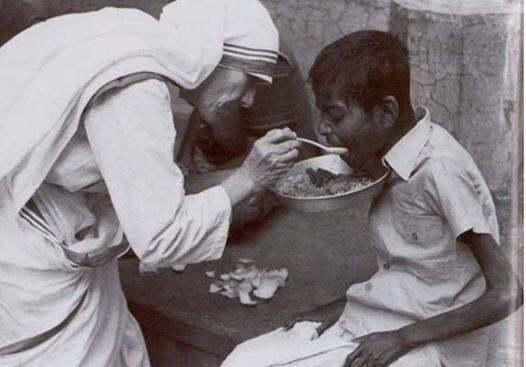 Doing this is an act of charity and mercy for the woman they love and who is preparing to meet her Lord. And that meeting, whether later today or sometime in the days to come, is indeed a miracle. If you’re ever blessed to witness this sacred journey with someone you love, be truly grateful. We should never forget that the holy death of a faithful Christian is a triumph and not a tragedy. Yes, we cry for the loss of our loved one, but we also rejoice in the hope of our salvation in Christ, Who is victorious over death. When we kneel there, at the bedside of our loved one, we witness “as through a glass darkly”(I Corinthians 13:12) the unbearable beauty of the presence of God. Inside that little blue house at the end of the street is Bethlehem and Bethany, Calvary and Easter morning. Angels crowd the rooms, their holy wings brushing against the walls, infusing the house with the incense of heaven. So much grace that a mere earthly life can no longer contain it. And so, she flies free. And home.